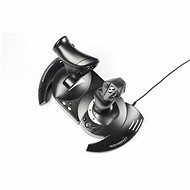 Thrustmaster HOTAS Warthog is a dream come true for any gaming and aviation enthusiast. It is a highly accurate replica of the U.S. Air Force military aircraft Fairchild A-10C Thunderbolt II (Called Warthrog). 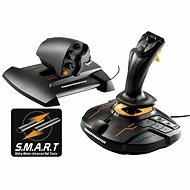 Together with modern gaming simulators, this joystick set brings you a unique flight experience. The joystick is made of metal, which ensures maximum stability and authentic look. The joystick is equipped with 19 action buttons and an 8-way POV hat switch. T.A.R.G.E.T. (Thrustmaster Advanced pRogramming Graphical EdiTor) software lets you test, configure and program Thrustmaster® controllers. 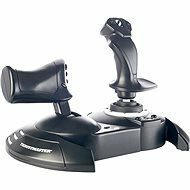 For shipping to other EU countries visit this page Thrustmaster HOTAS Warthog Flight Stick. 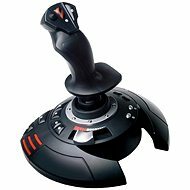 Für Versand nach Deutschland, besuchen Sie bitte Thrustmaster HOTAS Warthog Flight Stick. Chcete doručit zboží do Česka? Prohlédněte si Thrustmaster HOTAS Warthog Flight Stick. Chcete doručiť tovar na Slovensko? 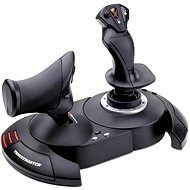 Prezrite si Thrustmaster HOTAS Warthog Flight Stick. 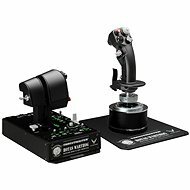 Für Versand nach Österreich, besuchen Sie bitte Thrustmaster HOTAS Warthog Flight Stick. Magyarországra történő kiszállításért tekintse meg ezt a termékoldalt: Thrustmaster HOTAS Warthog Flight Stick.